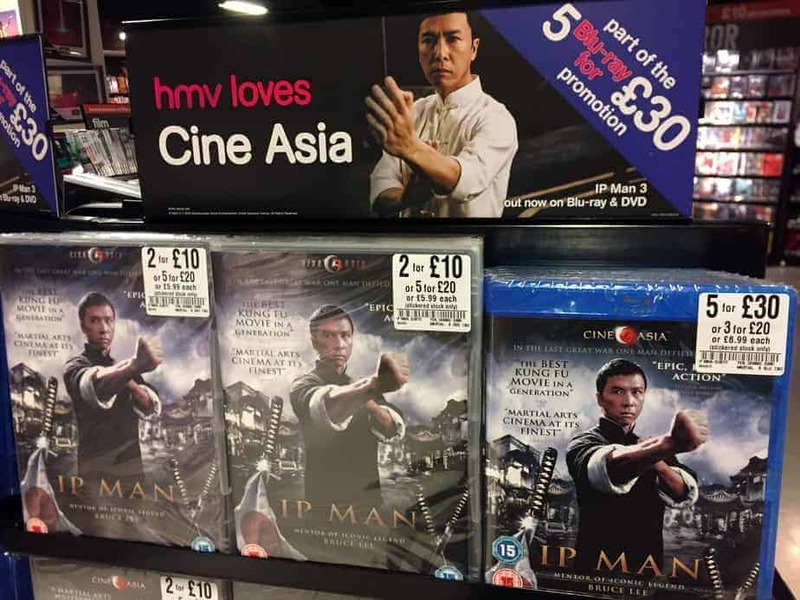 The UK’s premium martial arts and action cinema label, Cine Asia, joins the popular “HMV Loves…” selection now and throughout July. IN HMV stores all over the UK, fans can pick up new and classic Blu-ray and DVD titles from legends like Jackie Chan, Donnie Yen, Andy Lau and Chow Yun Fat from Cine Asia’s extensive catalogue, all at a great price. Highlights include recent releases like Wolf Warrior II, Wolf Warrior I & II boxset, Elite Force: Operation Mekong, Shock Wave Tunnel and Youth, plus fan favourites like Ip Man 1, 2 & The Final Fight, Young Bruce Lee, Confucius, Shaolin and many more. Just look out for the “HMV Loves Cine Asia” display. Titles available while stocks last. With new and exciting titles to be announced later in 2018, this is the perfect opportunity for fans to discover (and re-discover) new and returning favourites and build their movie collection. For more information on Cine Asia visit the website.